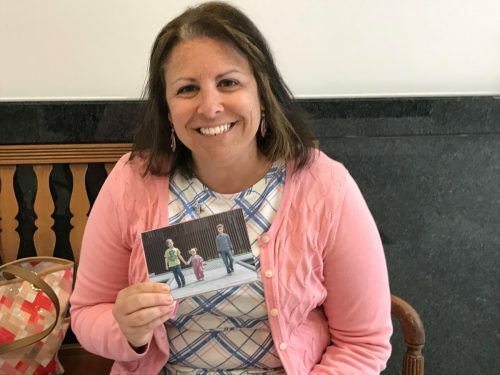 CASA has been best described as the “eyes and ears” of the court and often acts as the “arms and legs” of an overworked child protective system. From helping siblings find permanent homes together, to helping a child access needed services, to uncovering information that helps reunite a loving family, volunteer advocates make an incredible difference to the lives of abused and neglected children. As a system, CASA provides significant cost savings to the tax payer by ensuring children are placed in the most appropriate home possible and as quickly as possible. Court Reports: Provide written reports to the court in preparation for all court proceedings. Attend Court: Advocate for the child’s best interests “Be the Safety Net”: Seek cooperative solutions among individuals and organizations involved in the children’s lives. Recommend Services: Ensure that the children are receiving appropriate services by keeping the parties involved informed of any needs currently not being addressed. Bring concerns about the child’s health, education, mental health, etc. to the court’s immediate attention. Monitor Case Plans and Court Orders: Assist the Court by reporting any deviation from what the court has ordered for the life of the case. Visit with the Child: Maintain a consistent and regular visiting schedule with the child, minimum of once per month. 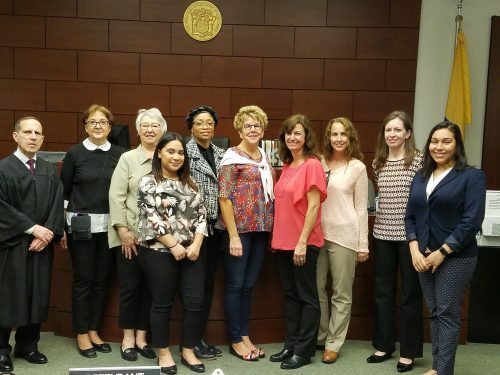 Recently sworn-in CASA Volunteers for Mercer County with Judge Forrest (L-R): Iclal Atay, Martha Press, Stephanie Rodriguez, Coty Hay, Jane Pedinoff, Kathy Coppins, Laura Lichstein, Sarah Legins, Angelica Morales. Anyone who meets the following criteria is eligible to train as a CASA volunteer. Final selection is at the discretion of the CASA program. Must have the ability to communicate effectively, both orally and in writing to prepare court reports and communicate with professionals. Must be able to relate to persons of different cultures, ethnic backgrounds and socioeconomic status.